CORBA’s eTerraTimes newsletter for May was posted today, May3. If you don’t get it by email, you can the online version on our website. At the last volunteer work day on the Gabrielino Trail, we were delighted to have Louis Sahagun, reporter for the LA Times and a photographer join us. They were there to cover the restoration efforts undertaken by CORBA and MWBA on the Angeles National Forest. Quoted in the story are Erik Hillard and Matt Baffert of the Mount Wilson Bicycling Association, and Steve Messer of CORBA. 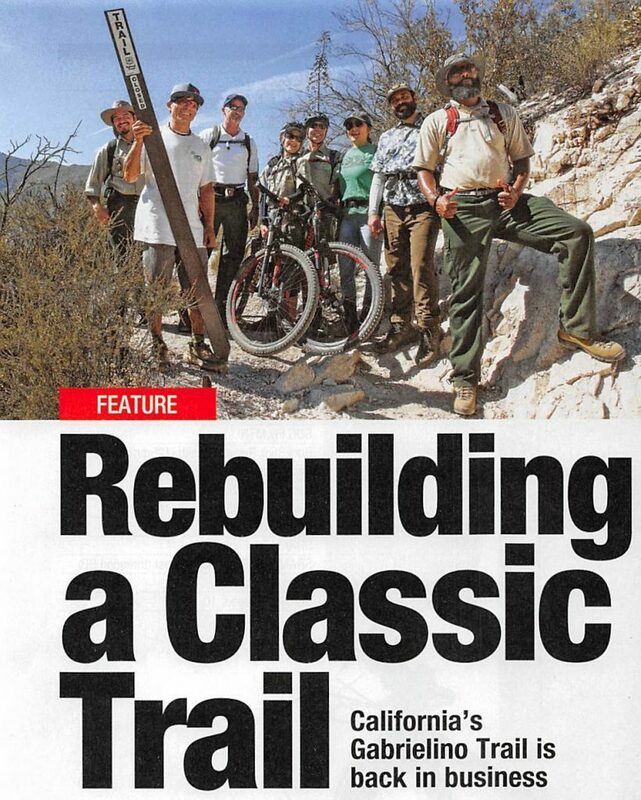 The article covers efforts by mountain bikers to open the Gabrielino Trail from Redbox to JPL, but doesn’t mention the continuing efforts by the Boy Scouts, the Sierra Club, and the Angeles Crest 100 volunteers who have worked on the trail east of Redbox. We appreciate the news coverage! Read it on the LA Times web site, or in the March 2nd 2018 print edition. 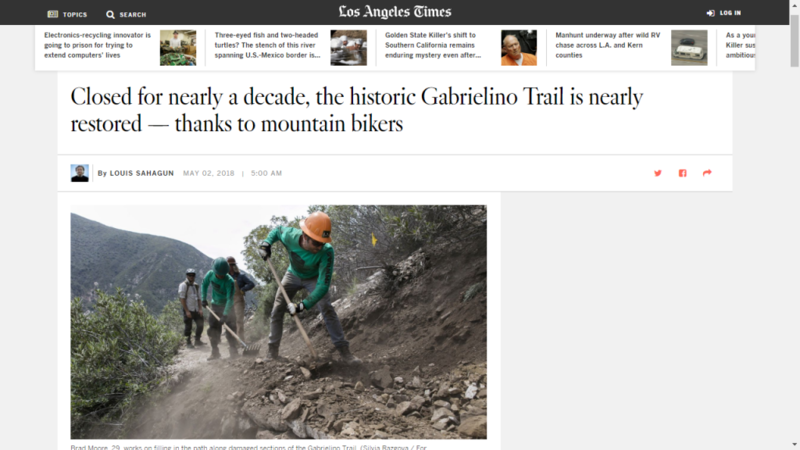 http://www.latimes.com/local/california/la-me-gabrielino-trail-20180502-story.html. We also have a PDF version. CORBA’s first eTerraTimes newsletter of the year was posted today, January 3. If you don’t get it by email, you can the online version on our website. Girlz Gone Riding on October 29th holds their 7th Rocktober Festival and CORBA membership Drive! The 7th annual Rocktober Restival will be held on October 29th from 8am-3pm at Castaic Lake, Castaic, CA. This is a FREE event for all participants and is a ladies only cross country event and CORBA Membership drive. The day consists of guided, no drop rides for ALL levels! Beginner/Greenie riders are welcomed with opened arms! November 11th: Trail work day on Crags Road in MCSP. Online registration requested! The July 2017 edition of CORBA’s bimonthly newsletter, the eTerraTimes, was published today, June 28th. If you don’t get it by email, you can view it online. As always, the eTerraTimes has all the latest news for mountain bikers in the Santa Monica Mountains and surrounding areas.